Home / Haul / February and March Collective Haul !! February and March Collective Haul !! There's only one thing in my life that gives me eternal pleasure and makes me super happy and excited and that is ''Shopping''. Nothing can come close to it, not even my iPhone (that's an exception by the way). So, I've purchased quite a lot of stuff lately. Let's have a look. Essence Home Sweet Home Collection Lipsticks. Essence Home Sweet Home Collection Blush. Nanshy Professional Makeup Brush Set 4 Piece. Nanshy 7 Piece Eye Brush Set. MAC Studio Fix Foundation+Powder (repurchase). I've purchased Ellis Faas stuff from their official site and IQ Natural Signature Kit and Nanshy Brushes from their respective sites as well and MAC stuff from one the Facebook selling page called MAC Addict. I'm going to include all details in the review post. 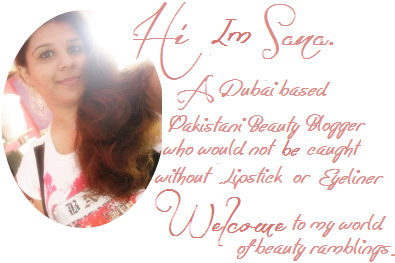 And let me know if you want me to review any of the product from my haul. What have you been shopping lately ? 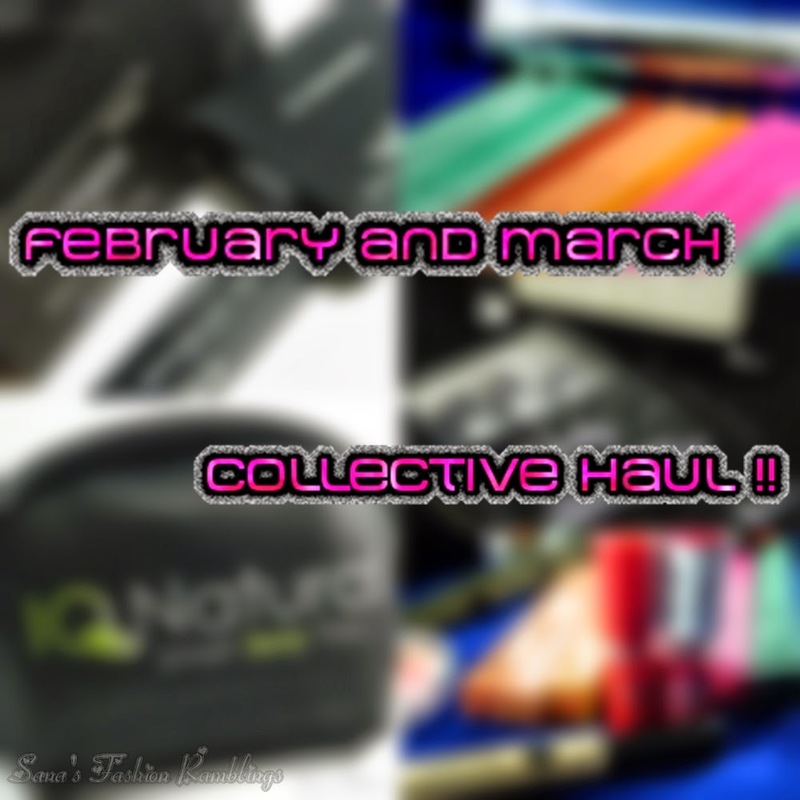 55 comments on "February and March Collective Haul !! " I don't buy much in the way of cosmetics as I sell them in my online store but I have just ordered a pair of flared jeans and peach vest as I love clothes. Wow, I must say this is a huge haul! Great :DD The brush sets look good, I'm quite interested in them (: Thanks for showing! i always love hauls posts, but i dont like em at the same time because you beauty bloggers make me buy more stuff LOL! That Illamasqua illuminator looks partucluarly good btw! Can't wait to see your review of Ellis Faas - I want to try that brand and the MAC Studio Powder plus Foundation - I'm running out of my MAC MSF Natural and I think I want to try something new! Massive haul! wow!this is such a big collections of makeup products. Wow, this is a great haul. Excited to read your reviews on these especially the Nanshy brush set! Wow, this is a great haul post. I would love to read your review on the Nanshy brush set! I love Nanshy brushes! but let me just say how gealous I am because of all that ellis faas makeup! Wow that's a lot I am sure you will put it to great use. These are all for your beauty program and it's awesome. Try to collect more for your advanced beauty secrets. Shopping is such a therapy and it looks like you had a really good one with this. I swear by how great Colour Collection's concealers are! I adore them and I just ran out of it. wow thats a crazy shopping!! !omg i wan all of them for my stash!!! now u make me wanna go for shopping! Wow. What a nice haul. Please review the essence one. I am curious about that brand. Wow, thats a pretty huge haul! But among all i hope you can spend time to try and write about the brushes! Now that is one jaw dropping haul :o I have heard nothing but great stuff about Ellis Faas and I wish I could spend so much on it! Waiting for the review sweets! I haven't tried nanshy brushes out before, but have been seeing them around the blogworld. great haul!!! Lovely haul! Thanks A LOT, love! When I buy make-up items I only buy one or two. Lol. Cant wait for individual reviews. Great haul and so many amazing things! Shopping is so good to lift your mood. Ellis Faas Lip colour, how did you find it? Is it good?